Jordan B. Peterson’s 12 Rules for Life: An Antidote to Chaos contains the kind of advice the parents and teachers of Baby Boomers were keen to impart to us all those years ago, advice that we weren’t so keen to hear: “Stand up straight with your shoulders back” (Rule 1), “Make friends with people who want the best for you” (Rule 3), “Set your house in perfect order before you criticise the world” (Rule 6), “Tell the truth—or, at least, don’t lie” (Rule 8), “Be precise in your speech” (Rule 10), and so on. They all sound like the message of some black-and-white television comedy from the 1950s. 12 Rules for Life, by my reckoning, is about seventy years too late. … it is certainly true that bohemianism is more deeply hostile to the values of the bourgeoisie than Marxism ever was. To understand why this is so, remember Ben Franklin’s useful virtues—temperance, silence, order, resolution, frugality, industry, sincerity, justice, moderation, cleanliness, chastity and humility. Some of these values are compatible with social democracy. One or two of them found a place in the Communist world. But none are compatible with bohemia. Because children, like other human beings, are not only good, they cannot simply be left to their own devices, untouched by society and bloom into perfection … This means they are much more likely to go complexly astray if they are not trained, disciplined and properly encouraged. This means that it is not just wrong to attribute all the violent tendencies of human beings to the pathologies of social structure. It’s wrong enough to be entirely backward. The reader encounters an entreaty on Franklin’s useful virtues—“Anxiety and depression cannot be treated if the sufferer has unpredictable daily routines”—at the turn of every page. Lenient or indulgent child-rearing techniques, the consequence of paying heed to the noble-savage fantasy, are eviscerated by Peterson. Ill-disciplined and poorly socialised children “have terrible lives”, period. Rule 5—“Do not let your children do anything that makes you dislike them”—encapsulates the matter perfectly. In the end, 12 Rules for Life is as scornful of Jean-Jacques Rousseau and the insistence “that nothing was more wonderful than man in his pre-civilised state” as was Sandall’s The Culture Cult. The subtitle of Peterson’s book could just as easily be An Anti-Bohemian Treatise. We have an intellectual obligation to meet this threat directly and expose him for what he is: a YouTube star who offers a wafer-thin intellectual validation for the political retrenchment [sic] of traditional hierarchies. Peterson is calling for war within the humanities. We should happily oblige. Clearly Dr Wells himself has all the “critical-thinking abilities” of a Social Justice Warrior. The proselytisation of postmodernist theory, according to Peterson, is less an emancipatory project than intellectual charlatanry and the relinquishment of individual responsibility. Wells’s riposte is that at the heart of Peterson’s critique of the modern academy dwells a “downright paranoid worldview that appears designed to curry favour with the alt-right”. However, exchange alt-right for alt-left and you have a reasonable description of Dr Wells’s own worldview. Peterson, who acknowledges his debt to the Canadian philosopher Stephen Hicks’s 2004 book Explaining Postmodernism: Skepticism and Socialism from Rousseau to Foucault on the subject of “postmodern neo-Marxism”, might be right to describe postmodernist theory as “the new skin that the old Marxism inhabits” and yet it is, I think, a mistake to equate (in its entirety) progressive or leftist identity politics with “postmodern neo-Marxism”. There is, undoubtedly, some correlation between Marxism and today’s identity politics. Marx, after all, was a left-wing identitarian when he advocated that the proletariat of Western Europe rise up against the bourgeoisie and replace capitalism with socialism. History’s supposed revolutionary agents, nevertheless, declined to play the apocalyptic millennialist role assigned them. Marx and Engels, not wanting to be scorned as false prophets, blamed “bourgeois ideology” for misleading the workers. Engels—who outlived Marx by some twelve years—began devising awkward terminology such as “false consciousness” to explain the proletariat’s continuing absence at the barricades. The theories of the French postmodern philosophers are many and varied, and yet common to all is a convoluted (and often disguised) reconfiguration of “false consciousness”. They are the spawn of Friedrich Engels’s maladroit thinking and well deserve the label neo-Marxist. As for what informs today’s identity politics, however, we might have to consider other contributing factors. While postmodern philosophy engenders a quotient of anti-Western nihilism to the progressive cause, we still have to account for why gender, sexual preference and non-white ethnicity—think Islamic Studies, Queer Studies, Gender Studies, Indigenous Studies, Post-Colonial Studies, and so on—are preferenced in the academy’s (and the Left’s) hierarchy of victimhood. Postmodern indoctrination might destroy a person’s capacity to discriminate (in the best sense of the word) in any traditional or conservative Western sense, but the indoctrinated graduate emerges with a passionate sense about what is wrong with the world—and it is not the capitalist mode of production. It is The Man or, if you like, “the patriarchy”, “white heteronormative conspiracies” and “masculine toxicity” that must be defeated. This, as Marx would be the first to lament, has nothing to do with the class struggle and everything to do with bohemia. There has been a social revolution going on in the West these past sixty or seventy years, but not the one Marx expected. Bohemian socialism has bequeathed us a malevolent form of identity politics that will not achieve anything apart from re-tribalising us, weakening our borders, encouraging Islamic revivalism, further impoverishing the Aborigines of northern Australia and, not least, driving ordinary people to the brink. The astonishing popularity of 12 Rules for Life is not because it debunks postmodern neo-Marxism, although there is some of that in there, but because it offers the beginnings of a remedy for the Great Bohemian Cultural Revolution. There is, for instance, a reconnection with our Christian heritage. 12 Rules for Life is crammed with biblical quotations and esteem for Jesus Christ—“The Sermon on the Mount outlines the true nature of man, and the proper aim of mankind …”—while elsewhere Peterson laments the disappearance of 1950s-level “communal church going”. He dismisses Sam Harris’s New Atheism as sterile, even puerile, for discounting the power of Christianity to address the deep existential mystery of human existence, which involves our rational and finite selves adrift in an infinite and unknowable universe. As mystics—and here, tellingly, Peterson would include seminal Western writers such as Tolstoy and Dostoevsky—are wont to ask: From where have we come, why are we here, and where are we headed? We are witnesses to civilisational revivalisms of almost every kind and contour—Sunni Islamic, Persian, Ottoman, Russian, Hindu and Chinese—while the West, ensnared in a kind of politically-correct psychosis, acts as if it has lost an epoch-defining war in some unspecified place and at some unspecified time, the details of which our ruling class are yet to reveal to us. Our fascination with Jordan B. Peterson is that he points to the possibility of Western revivalism, starting with self-respect for our own individual lives—“Treat yourself like someone you are responsible for helping” (Rule 2)—and respect for our Western heritage, including Christianity. That new regard, taken on by Peterson’s expanding audience, might translate into a healthy veneration of the civilisation that produced us. For some of that audience, if not for Peterson himself, the allegory G.K. Chesterton tells at the beginning of Orthodoxy (1908) might be pertinent. It is the parable of an English yachtsman who sets sail and discovers a new island in the South Seas. Anxiously (but manfully) he strides ashore, armed to the teeth, and adopts sign language as his means of communication with the natives. In the far-off distance he spies a barbaric temple. Courageously he marches towards it with the intent of planting a British flag upon the edifice: except it is not an unfamiliar shrine he discovers there. To his surprise the barbaric temple turns out to be the Pavilion in Brighton. Does our yachtsman feel foolish? Most certainly he does, and Chesterton should know because he confesses that he was that yachtsman, only the truth he stumbled upon was not the Pavilion in Brighton but Christianity. 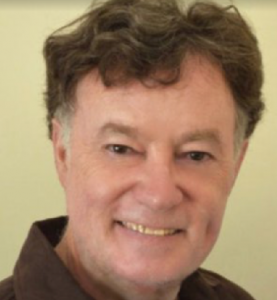 Daryl McCann, a regular contributor, has a blog at http://darylmccann.blogspot.com.au, and he tweets at @dosakamccann. He wrote on President Trump’s approach to Asia in the May issue. Jordan B. Peterson’s 12 Rules for Life was reviewed in the March issue by Steven Kates. Could someone in this forum kindly answer this question I have regarding Marx: Did Marx ADVOCATE that the proletariat of Western Europe rise up against the bourgeoisie and replace capitalism with socialism, or did he FORECAST that the proletariat of Western Europe WOULD rise up against the bourgeoisie and replace capitalism with socialism or both? I doubt anyone on this forum, or elsewhere, can answer that with certainty – the technology to prove Bush said “voodoo economics” and Hodgman was in the room did not exist, and the spoken word can be misinterpreted or wrongly reported, the written word mistyped or intentionally altered. Please watch this as it’s dramatically relevant to this discussion: and it will outrage the Left. Dr. Peterson is laser accurate again! There seem to be a number of atheists saying “even if Christianity is wrong, it is necessary”. Since Jesus called on those who could not believe in Him to believe in His works, this may prove quite interesting. Hopefully they’ll eventually why the necessary beliefs are Christian rather than say Buddhist or Pastafarian.